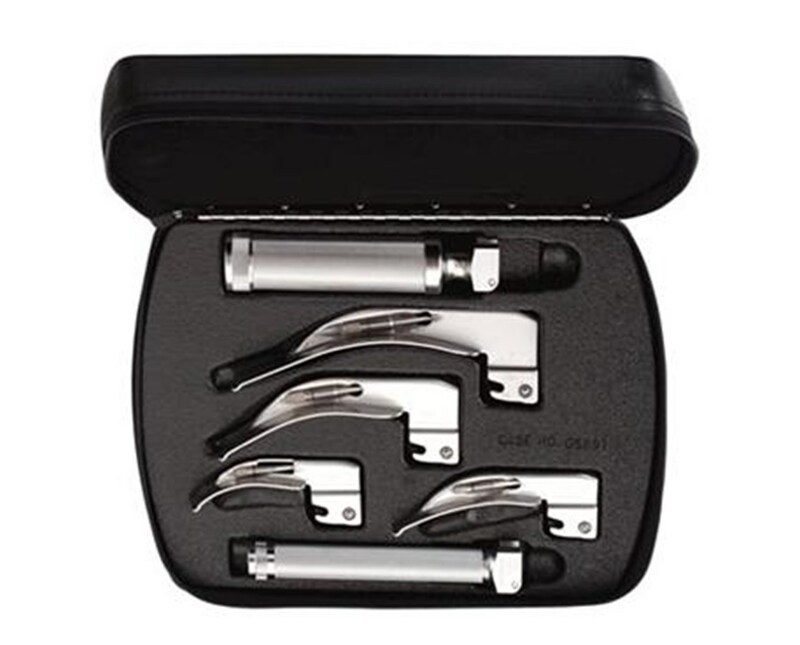 The Standard Macintosh Laryngoscope Set features the Macintosh blades which are the most popular of all curved-blade styles. The Macintosh blade design incorporates a gentle, continuous curve from the tip to the proximal end. The curve is compressed into the vallecula and the blade lifted, indirectly raising the epiglottis. 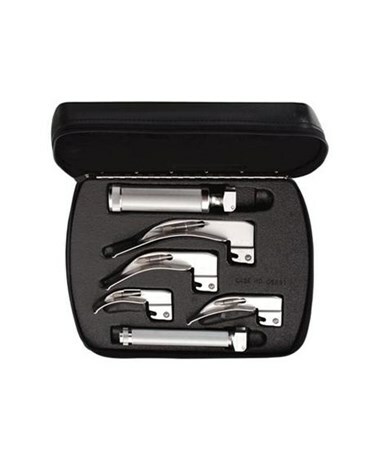 The blade height assists in intubating patients with limited oral access. The Standard Macintosh set includes both of Welch Allyn's "AA" and "C" cell battery lightweight handles and lightweight blades for maximummaneuverability.